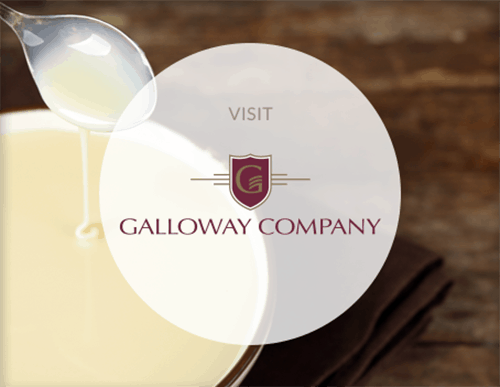 Galloway Company and its subsidiary, Classic Mix Partners, are located in Neenah, Wis., a friendly, progressive city of more than 25,000 people. Neenah is located in what is known as the Fox Valley, the area that surrounds the Fox River from Lake Winnebago north to Green Bay in Northeast Wisconsin. The Fox Valley is favored for its stable employment base, affordable cost of living, low crime rate and access to health care and education. For these reasons, the area often is praised for being a great place to raise a family. The Bergstrom-Mahler Museum of Glass, located in Neenah, focuses on glass collections and exhibitions. Its collection is comprised primarily of paperweights, more than 600 of which were bequeathed by Evangeline Bergstrom. The Bergstrom-Mahler museum is just one of 19 museums in the Fox Cities. Just north of Neenah in Appleton, the Building for Kids—Wisconsin’s third largest children’s museum—hosts a full calendar of children’s activities and events. Next door, the Trout Museum of Art hosts visual arts exhibitions, classes, special events and more. Appleton’s Fox Cities Performing Arts Center draws audiences from around Northeast Wisconsin to Broadway musicals and performances by nationally touring dance troupes, singers and comedians. Located between Little Lake Butte des Morts and Lake Winnebago, Neenah offers abundant recreational opportunities. Residents and visitors enjoy the waterways—boating, sailing, canoeing, kayaking, fishing and ice skating are among the community’s favorite past times. 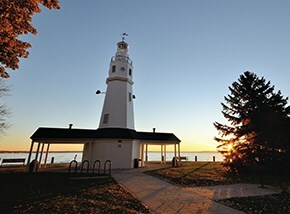 Neenah is also home to 26 parks and a series of trails that wind around the city and connect with neighboring communities. Menasha’s Trestle Trail is a local recreational favorite. The trail boasts Wisconsin’s longest pedestrian bridge that overlooks the Menasha lock. In the Fox Valley, the WIOUWASH Trail is named for the counties that share this recreational favorite. A former railroad bed, bicyclists, walkers and joggers use the trail year-round, given the opportunity. Leashed dogs also are allowed, as well as horseback riders. In winter, the trail is open for cross-country skiing, snowshoeing and snowmobiling. The Gordon Bubolz Nature Preserve in Appleton offers educational programming and community access to its trails for hiking, cross-country skiing and snowshoeing. The Fox Valley also is known for its wealth of golf courses, including Chaska, considered to be one of the best public golf courses in the State of Wisconsin. Fox Valley Technical College offers more than 200 technical diploma and associate degree programs. University of Wisconsin-Fox Valley in Menasha, Neenah’s “twin” city, is one of 13 freshman/sophomore campuses of the UW System. 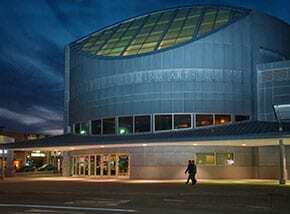 It is home to Barlow Planetarium, where students and residents enjoy star and laser light shows throughout the year. Lawrence University, a private liberal arts college in Appleton, boasts a small campus with high engagement between students and professors. University of Wisconsin-Oshkosh is the third largest state college, offering 60 majors, 15 graduate programs and a doctoral program in nursing. ThedaCare Regional Medical Center, part of the ThedaCare health system, calls Neenah home. The medical center serves as the area’s trauma center and offers a multitude of health services. 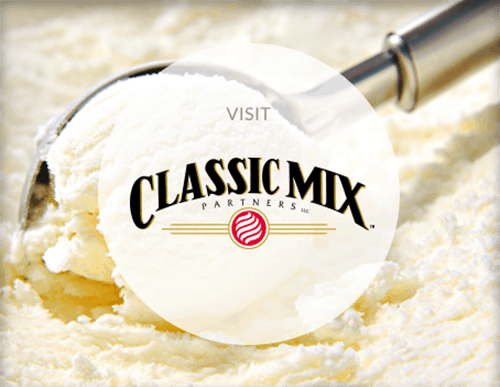 For several years in a row, it has been named a Consumer Choice Award winner by area residents. The Children’s Hospital of Wisconsin-Fox Valley, located on the ThedaCare Regional Medical Center campus, focuses on the care and treatment of children. Affinity Health System has several area clinics in the Fox Cities, as well as St. Elizabeth Hospital in Appleton. Aurora Health Care offers clinics and specialized services in the Fox Valley.